This week we are excited to feature Metter Østerbye Vejen, CEO of the Copenhagen-based investment firm – CABA Capital, in our spotlight series. The investment firm CABA Capital was founded in 2016 by Carsten Bach who has a long history in Danske Bank as Deputy Director of Danske Bank’s Proprietary Trading and Head of Investment Management. Carsten was thus responsible for managing more than DKK 200bn. In CABA Capital Carsten quickly teamed up with Niels-Ulrik Mousteen who until 2016 was the CEO of Danske Capital, the asset management arm of Danske Bank. Myself, Mette Østerbye Vejen, also joined CABA Capital from Danske Capital. The team received the necessary license from Danish FSA and the fixed income Hedge Fund CABA Hedge KL was launched in July 2017 with DKK 200 mil. AUM. Niels-Ulrik Mousteen is Chairman of the Board in CABA Capital, Carsten Bach is CIO and I act as CEO. There were few independent players that were open for new investors and we, therefore, saw an opportunity to bring a new independent player to the market. Furthermore, the yield spread was high because front books had downsized, and prop books were closed due to regulation. CABA Hedge KL has yielded 5,5% since launch in July 2017 and until end of September 2018. In the same period, the NHX Fixed Income index has yielded 3,7%. The target of CABA Hedge KL is to achieve an absolute return of an average 8% pa over a 5-year period. The subfund mainly invests in mortgage bonds in Denmark and Sweden and hedges its risk by selling government bonds, swaps etc. In order to achieve this target CABA Hedge KL applies leverage and therefore the invested capital is partly used as collateral. In its first year, CABA Hedge KL did not yield 8% but the target return of 8% pa over a 5-year period is within reach. This past year financial markets have been quite volatile, and this investment strategy works best when markets are calmer. We do see a lot of interesting investment opportunities, especially in Sweden, and are confident that CABA Hedge KL will perform well in the future. Honestly, there is not much unique about the investment strategy or the subfund CABA Hedge KL. It is a well-known investment strategy that has worked well for investors for many years and the fund structure is also well-known by the investors. The uniqueness that we bring to the table is within the company CABA Capital; the knowledge and competencies in the team. Carsten has a long and proven track record within fixed income, management and Hedge Fund strategies. Chris is Hedge Fund manager in CABA Capital and has a background in Danske Capital where he was an analyst in the Fixed Income team. Here he developed analysis models and contributed to analyses of both the Danish and the global fixed income market. I have a long and proven track record within equity and alternative investment products and has mainly worked within UCITS and AIF. In the board, the Chairman, Niels-Ulrik has a long and proven track record within the asset management and he has a vast network. 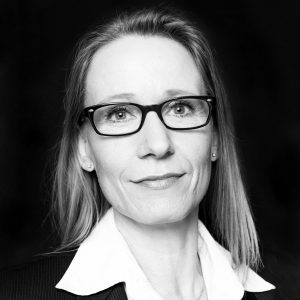 The other board members are both lawyers – one specializes in AIFM and financial regulation and she has a professional background in Danish FSA, as well as Danske Capital. Investors also like that we are truly independent asset managers and that when they contact us they to speak to the manager and “just” a client manager. Is this proposition effective when attracting new investors? It has worked well for us so far. But going forward the three most important things really are performance, performance, and performance. We use leverage to enhance returns. We can leverage up to 20 times in the short end of the curve. We use futures, options, and other derivatives to hedge non-desired risks. We are dynamic risk takers and are focused on the risk-adjusted return. Within our core investment segment, we like to take balanced risk in respect to the observed risk factors in the market. In our non-core investment segment, e.g. duration risk, we are quite risk-averse. Many new business models and platforms where asset managers and professional investors meet have emerged. Getting a product on one of these new platforms can make it easier to be an independent asset manager without a huge sales force. In CABA Capital we haven’t investigated platforms yet, but it is interesting to see the development in the industry and one should always be open to new possibilities and smarter ways to market your Funds. Raising capital is difficult for most new hedge funds. How did you overcome this challenge? We started out with zero and our only option was to start with friends, family and closest network to get the ball rolling. Once the first seed investor was on board it became easier to attract other investors. The next important step for us was the actual launch of CABA Hedge KL with DKK 200 mil in AuM because we then had “proof of concept” and needed to start our track record. The AuM has grown from DKK 200 mil. In July 2017 to DKK 810 mil. end of September 2018. Do you think word-of-mouth will still be the main factor when bringing in new clients in 5 years? As a small and independent asset manager word of mouth is a driver for attracting new investors. It takes a lot of hard work through to get the word to spread and for the word to continue to spread. Other important factors we have in mind when attracting new investors are; giving transparency into what we do, focus on what we do best, and continue to make ourselves available for existing and potential new investors. Luckily for us, asset management is a scalable business. In CABA Capital we have a very small and highly specialized organization and even if AuM or number of subfunds grow we see no immediate need to grow the organization. We like to focus on what we do best and acknowledge that there are things, that others can do better than us. That is why we outsource non-core competencies. In June 2018 CABA Hedge KL received marketing permission for retail investors in Denmark and that means that a new investor segment opens for the subfund. That is quite exciting. Another interesting growth opportunity is to approach investors outside our home market. We are currently considering if and how to do that. What are the fund’s plans in the next 3-5 years? We plan to grow not only the AuM in CABA Hedge KL but also to grow the company CABA Capital, by adding new strategies and new subfunds within the Hedge Fund space. Currently, we are working on launching a second subfund by the end of this year. The new fund will be a global equity with a Scandinavian bond overlay. This new fund will apply modest leverage, and will not be hedged. Thank you, Mette, for taking the time to talk with us. We wish you the best of luck growing CABA Capital! If you want to learn more about Mette, you can reach her directly on his Linkedin Profile here.